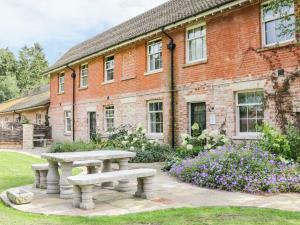 Sykes Holiday Cottages01244 356695work Holiday Letting AgencySykes Holiday Cottages have a great selection of self-catering cottages in and around Norfolk. All of our cottages are personally inspected by one of our team, ensuring we offer our customers the highest quality. Choose to stay in one of our cosy cottages nestled in Thetford Forest, unique fishing lodges on the river Ant or charming townhouses ideal for exploring Norfolk. Whatever the occasion and whether you’re travelling with the whole family or off on a romantic getaway for two, we are sure to have the perfect place for you. Why wait? Speak to one of our friendly travel experts today. Call us on 01244356695, email us info@sykescottages.co.uk or visit our website for a full list of properties and more information on their availability and prices. Sykes Holiday Cottages have a great selection of self-catering cottages in and around Norfolk. All of our cottages are personally inspected by one of our team, ensuring we offer our customers the highest quality.